With this in mind, then consider my surprise when I recently encountered an exhibition of artists books at the Bundaberg Regional Art Gallery. 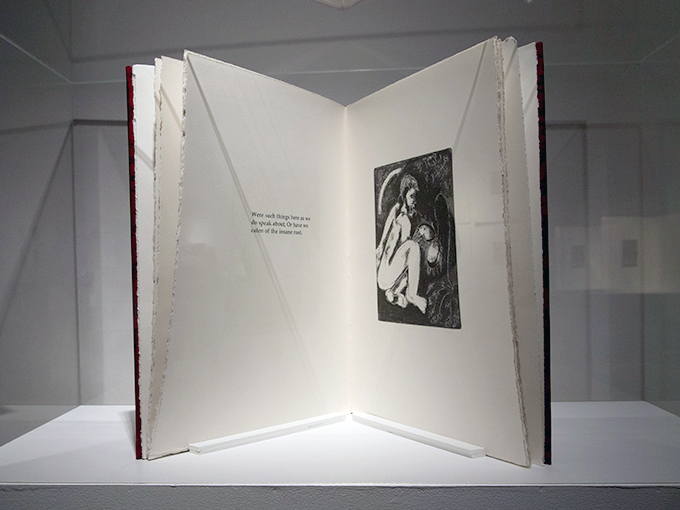 The main gallery held one of the largest exhibitions of artists books I’ve seen for some time. The show was more impressive because it was essentially the book works of one person with additional books by others coming from the artist’s collection. 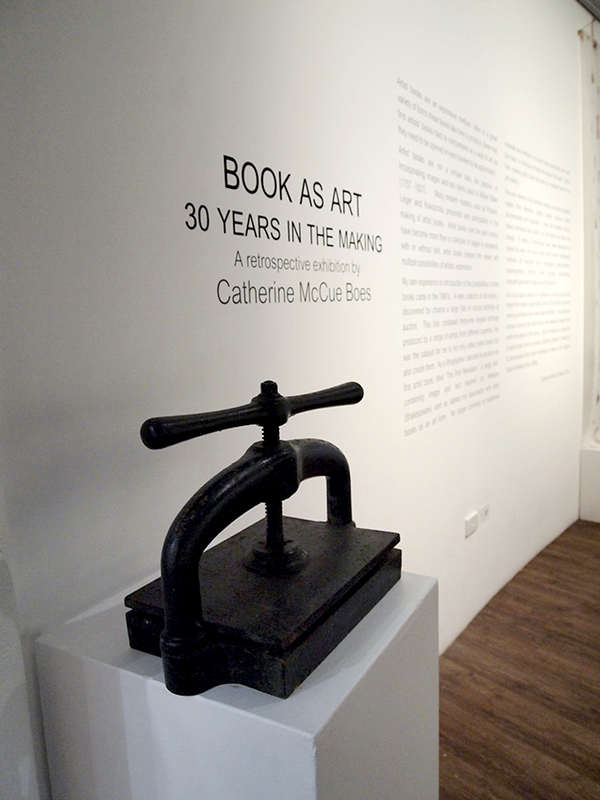 The exhibition, entitled Book as art: 30 years in the making, was by Catherine McCue Boes a local Bundaberg artist. As the title implies the exhibition encompasses a significant period of time and the life of the artist. Engaging with the artists books on display was a challenge – I walked around the space, glancing at and visually grazing the works on display. In keeping with the gallery display norm for artists book display the books were not for touching with many in vitrine glassed cages. Many books were the concertina form that allowed for easy reading and connection with the narrative. 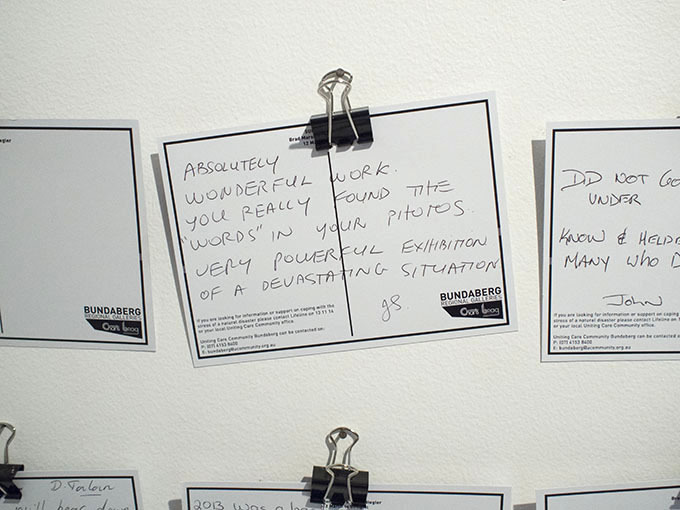 The artist also presented alongside the books wall works to give the reader an idea of the contents of the book. After my initial viewing, the sheer volume of the work on display and the demands that such a volume of complex and at times conceptually dense places on the viewer, I had to go away and come back to the gallery for a second viewing. On my return I was drawn to a number of the accessible concertina books. The first of was, In Paris 2012, which dealt with the artist’s personal experience of walking in Paris and the extraordinary things experienced. The book’s plain white paper surface is inscribed with diaristic jottings, a quick unfinished drawing of the Eiffel Tower, a textural pattern element, and deep-etched monochrome photographs of sculptures and architectural details. A pink abstracted form with a pigment-bled edge repeats over many pages – is it a memory of a figure walking in the rain with an umbrella or is it a self-portrait? In another work, Preserved in Australia, an old Kodak folding camera has the concertina bellows extended ready for use. Spilling from the rear of the camera explodes a concertina of 20 or so images attached to the viewing hood. The book is derived from a period of time where the artist worked in Roebourne in Australia’s north west. The photos are from the early 1900s, loaned by their owners – residents from Roebourne as well as from the local Historical Museum. McCue Boes has metamorphosed the camera and it’s image legacy into a device for viewing history. An early book, First Revolution (Macbeth) Lithographs 1989, represents the artist’s reference to the Shakespearian theatrical character of the same name. These stone lithographs are accompanied by screen-printed texts on the verso page. In the style of the livre d’artist this large format book with it’s thick deck-edged pages and codex binding make it a strident piece of work. 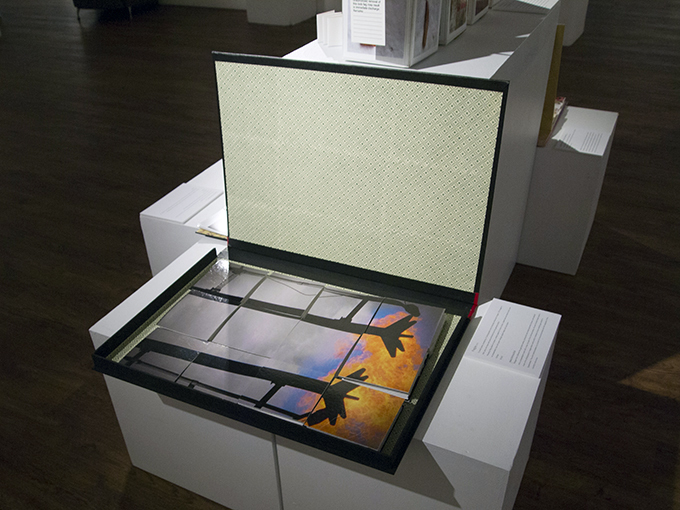 Whilst the book is firmly enclosed in a vitrine and opened to one page only, individual prints from other pages of the book are presented as a framed artworks on the wall. The First Revolution is also referential to the artist’s major influence, an 1800s book of rococo etchings she discovered in the 1980s and bought at an auction. She states in the exhibition materials that: ‘this was the catalyst for me to not only collect artist books but also create them’. The binding, its construction, materials and its red covering are echoed in many works. The hybrid mix of traditional printmaking and digital techniques creates an opportunity for McCue Boes to extend the artist’s vision and the nature of the outcome. In the 2005 book The Red Shoes, Mark 3 the artist references the Hans Christian Anderson children’s story of the same title. Seven linocuts have been enhanced through scanning into the computer, being redrawn and with text added – the result is a blending of the tradition of print with the graphic elements of typography to convey the story. Catherine McCue Boes works with other artists in international mail art projects that are presented in another section of the exhibition. A collaborative work curated by the artist, entitled, Life Line, Flood project 2014, brings us back to the idea of the artist’s work being affected by the places they come from. 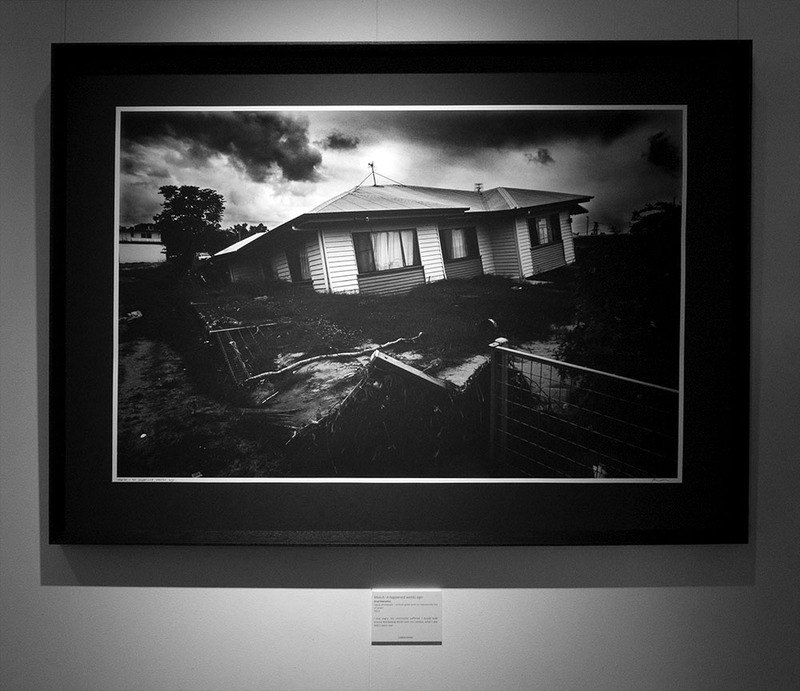 In 2013 devastating floods inundated Bundaberg and upper reaches of the Burnett River. The swollen river gouged out land, animals, houses, trees and farms and significantly affected the land and people of the whole region. 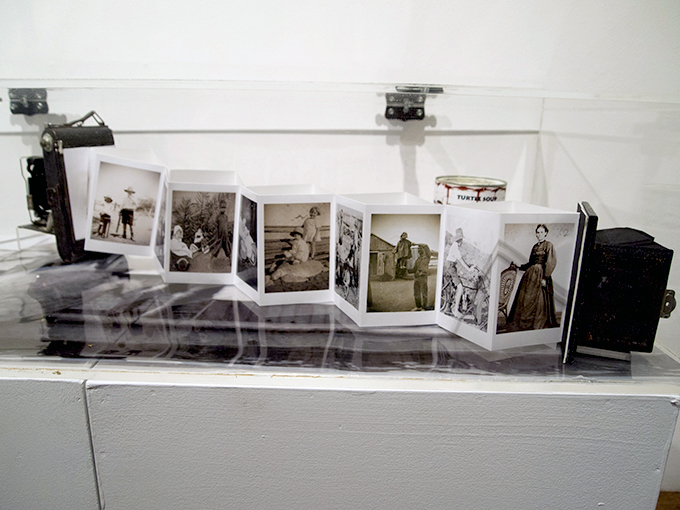 McCue Boes curated a collection of photos and texts from friends and assembled a concertina book that carries the sentiments of the contributors. 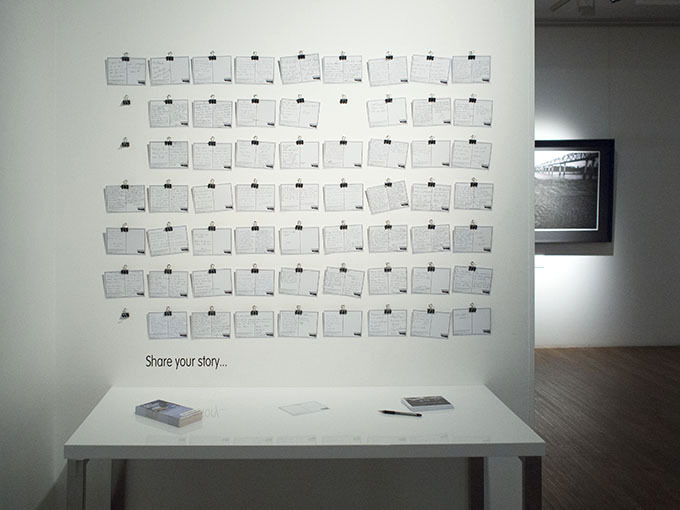 The book is a narrative of many voices with text and image carrying the emotion and the spirit of the contributors. Art often has a dual role, that of the healing catharsis and also to present accounts that can inform those who did not witness the grief first-hand. While this work may be a little uneven in its attempt to blend the individual contributions it is profoundly successful in its purpose and outcome. Working around to other books in the show a persistent source of inspiration is the artist’s surroundings and environment. I’m reminded of Lucy Lippard’s statement that: ‘Everybody comes from someplace, and the places we come from–cherished or rejected–inevitably affect our work[i]’. This is most notable in a body of work arranged on an island-like plinth towards the rear of the gallery. Assembled is a collection of books that relate to mining environments. 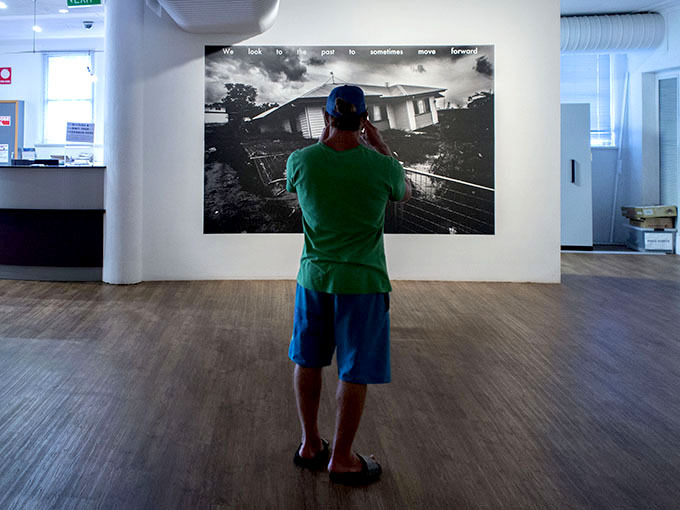 McCue Boes works with photographic images, irony and conceptual play to present a variety of book forms and commentaries. 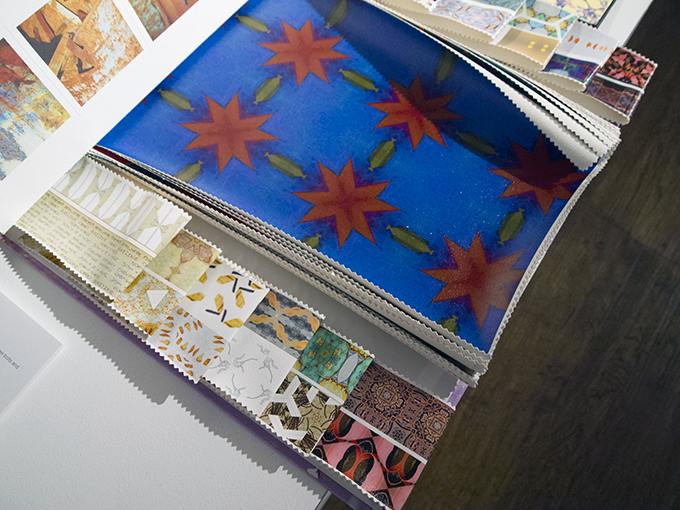 The book, Inspiration from the Artificial Environment 2012, consists of 16 photographic images and borders printed on canvas that are presented in a form that mimics wallpaper, soft furnishing and curtain material sample books. The patterns are photo elements flipped and flopped to form plausible, although somewhat 1960s dated looking designs for decorating your home. The reality of the source images is that they are the detritus of mining workspaces and consist of rusting drums, cable, pipes waste and pondage. 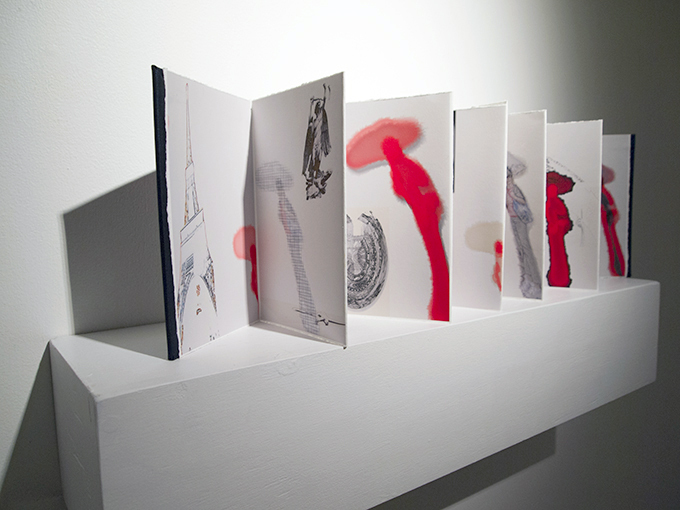 Other books, some that are more book-like sculptural forms, are part of this body of work. Presentation includes commercial boxes, simulated strips of black and white negatives, abstracted photographs and industrial labels – one stating, ‘Danger – This energy source has been LOCKED-OUT’. A position pervades many works in the show and I’m reminded of Lucy Lippard’s closing comment in the catalogue for the exhibition Weather Report: Art and Climate Change, where she speaks of the artist as a commentator, communicator and as one who acts as a provocateur. Lippard proposes, ‘… it is the artist’s job to teach us how to see.’ (Lippard 2007:11) Through these works McCue Boes is as an artist ‘teaching us to see’. The strength of her communiqué in these political works is achieved through with irony and humour, and the association with reality of the photographic image. 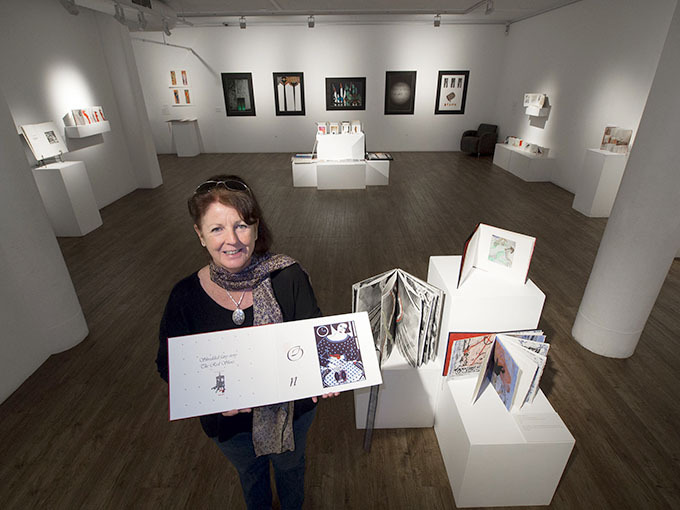 Books as Art: 30 years in the making is not an exhibition about art, or about making, or even about books. 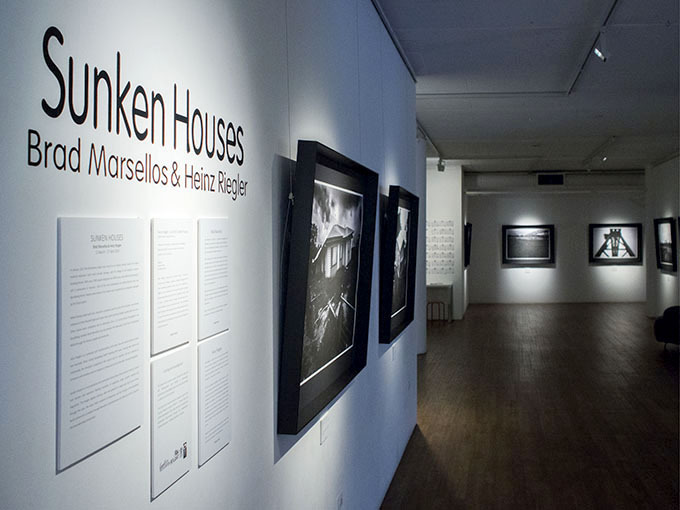 It is an exhibition about the very stuff of life and the human experience of the world – an experience that needs to be shared. I’ve made a note also about the importance of proximity in regional centres as well – the ‘big city’ should come visiting sometime. They may be amazed! [i] Lippard, L. R. (1997). The Lure of the Local: Sense of Place in a Multicentered Society. New York, The New Press. P36. 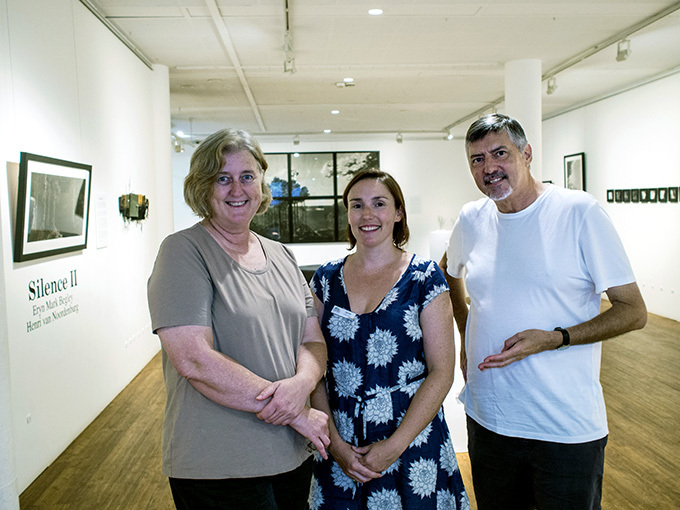 In April 2014 Bundaberg Regional Galleries will be hosting an artist in residency program with artists Victoria Cooper and Doug Spowart. 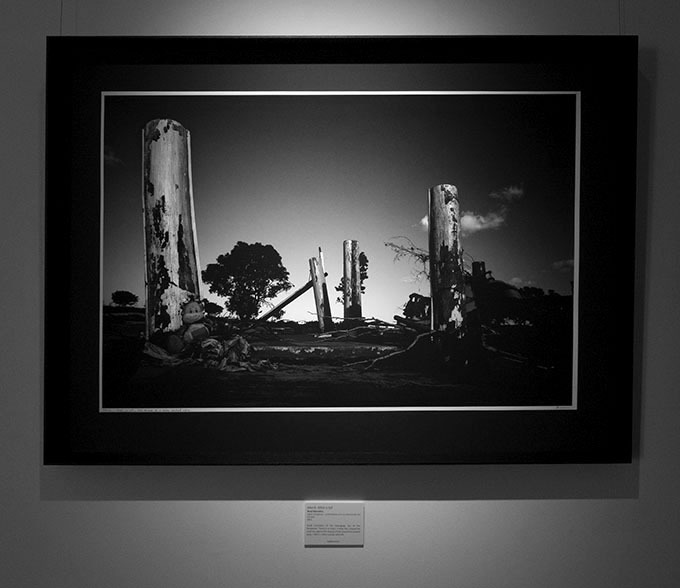 An exhibition of their Nocturne work including new images from this region will be on show at CHARTS Gallery at Childers during April in conjunction with the Queensland Festival of Photography 5. 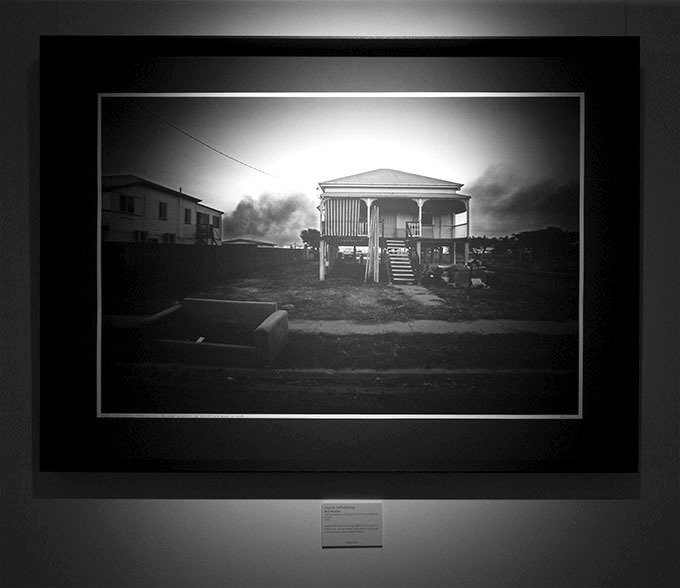 The artists will be also working on their next Nocturne photodocumentary project, entitled Nocturne Bundaberg Region. 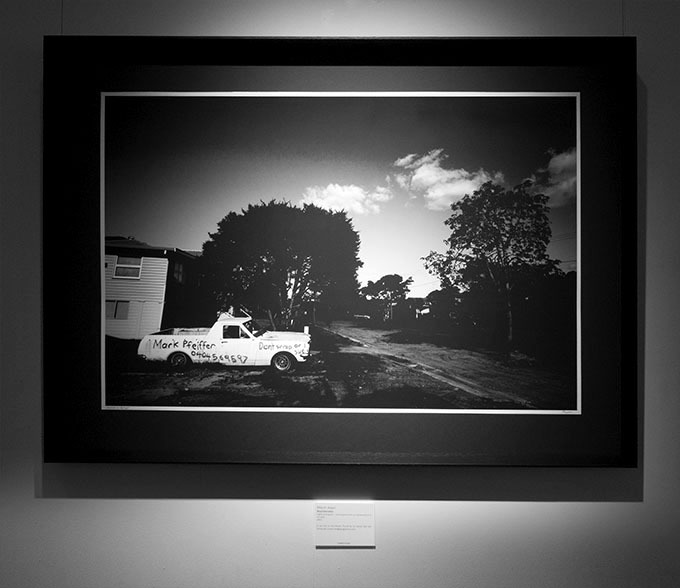 As with the previous Nocturne Muswellborook and Nocturne Grafton projects the photographs they make will be posted on the Nocturne Bundaberg Region Facebook page so that communities can connect with the project, and importantly, share their stories about each place. 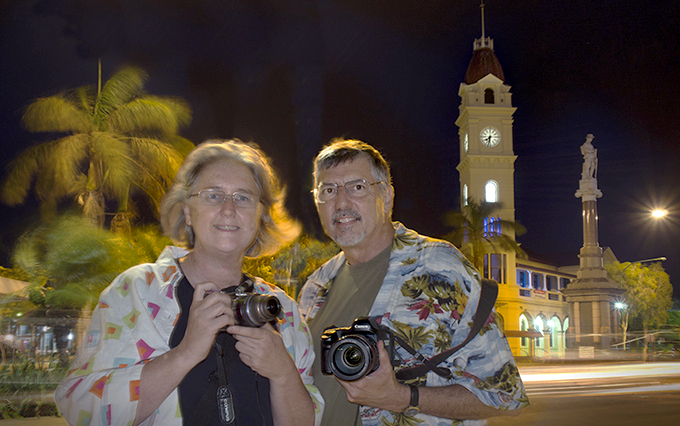 To extend the community’s connection with the project, Victoria and Doug will be working with a small group of photographers from across the Bundaberg Regional Council area to be contributors to the image-making part of the project. The participants will be selected using an EOI process that will be launched on the project’s Facebook page by the end of the month. Successful applicants will be advised in mid-March and they’ll attend a workshop in specialist aspects of nocturnal photography, image enhancement and the safety considerations for this work. After attending the workshop the local photographers will have an opportunity to add their images to the project’s Facebook page. Preferably, applicants should be 18 or over. Other community members may be invited to post images as well. 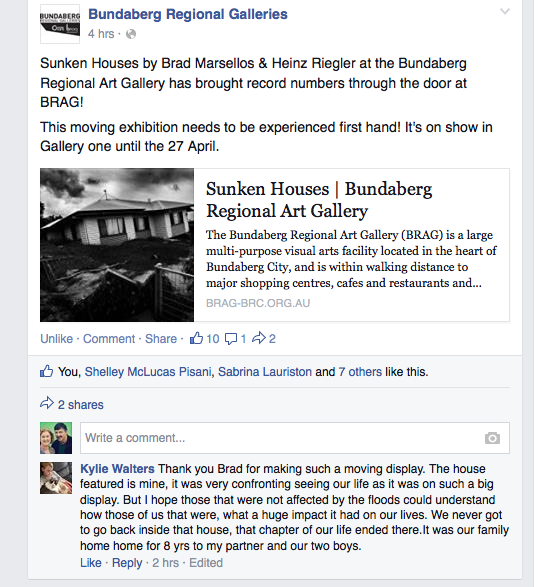 Any community member or person who has stories inspired by the photographs can post comments to the Facebook page.. 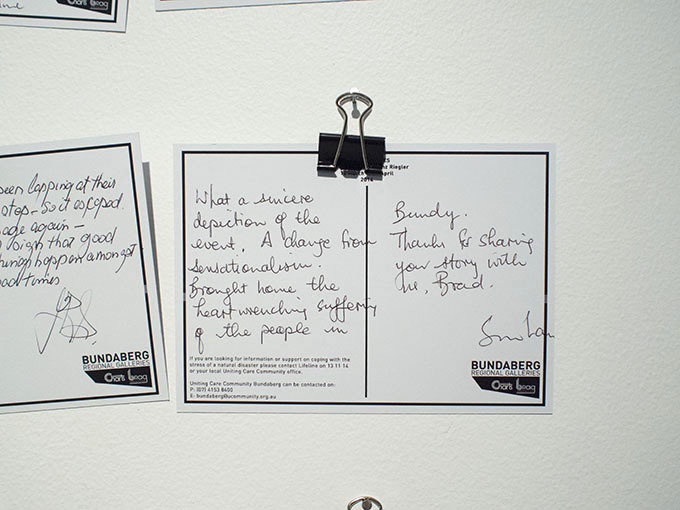 The Nocturne Bundaberg Region’s Facebook page images, as well as the community conversation derived from the project, may be incorporated in other outcomes including exhibitions or publications associated with the project. A selection of images may go into the Picture Bundaberg Archive.